Nearly two-thirds of patients seen using teledermatology were saved an in-person appointment, enabling greater efficacy and accessibility of the clinic as a whole. Implementation of teledermatology services allows more efficient use of dermatologists’ time and enables more patients to be treated every month with less waiting time, according to study findings presented at the American Academy of Dermatology’s 2019 Annual Meeting in Washington, DC. Research has shown that teledermatology consistently improves patient access, but its effects on clinical efficacy are less clear. To explore the impact of teledermatology on clinical efficacy in a large, closed healthcare system, researchers evaluated management of dermatology patients at the Zuckerberg San Francisco General Hospital and Trauma Center before and after introducing teledermatology to the practice. Patient wait times for the live clinic and average number of patients seen/month were used to measure accessibility, while efficacy was assessed by the proportion of teledermatology referrals managed without an in-person visit and by patient cases managed per hour. The researchers compared the practice pre-teledermatology (June 2014-December 2014) and post-teledermatology (June 2017-December 2017). Compared with values pre-teledermatology, more patients were seen per month in the clinic (902 vs 754 patients; P =.008) after the introduction of teledermatology. In addition, wait times in the dermatology clinic were reduced (6.7 vs 84.6 days; P <.001) and the number of patients seen per hour by dermatologists increased (2.63 vs 2.27 cases/dermatologist-hour; P =.01) without increasing total dermatologist hours per month after introducing teledermatology services. Of all teledermatology cases, 61.8% were able to be handled without a visit to the live clinic. 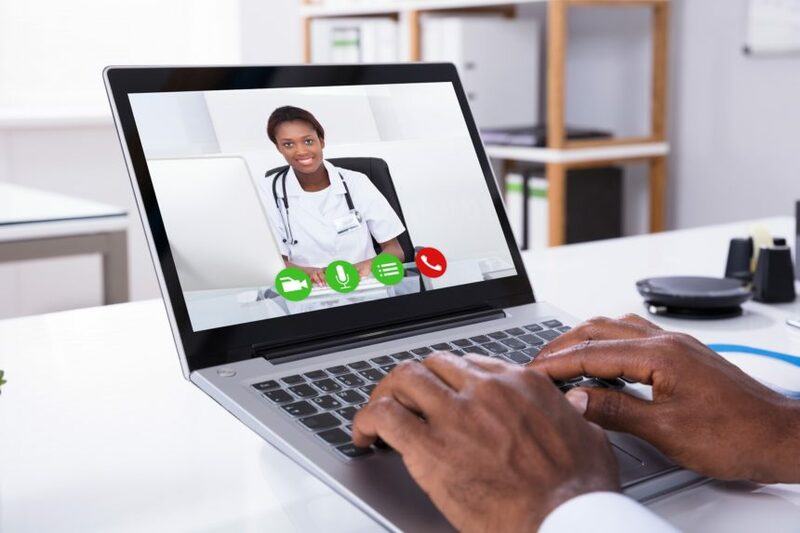 Overall, nearly two-thirds of patients seen using teledermatology were saved an in-person appointment, enabling greater efficacy and accessibility of the clinic as a whole. The investigators suggest assessing costs and benefits of teledermatology further in primary care settings. Zakaria A. Impact of teledermatology on the accessibility and efficiency of dermatology care in an urban safety-net hospital. Presented at: American Academy of Dermatology 2019 Annual Meeting. March 1-5, 2019; Washington, DC. Poster F078.